A critical vote is coming and digital rights advocates are trying to build momentum to defeat Article 13 (AKA the Censorship Machine). It goes by many names: Article 13, the Upload Filter, and the Censorship Machine to name three. Whatever you call it, almost every digital rights observer agrees that it represents a major threat to free speech in the name of copyright. We brought you reports of the campaign early on. In those reports, we explained that this next crucial vote will help determine the future of the censorship machine. The proposed laws will mandate web platforms to install copyright filters similar to ContentID on YouTube. A difference being that the filters would reject anything it perceives as infringing on copyright regardless of any legally acceptable copyright exceptions. The vote itself is scheduled to take place on June 20th, so two weeks from now. In response, European digital rights advocates are trying to inform European citizens of the impending vote so they can have their voices heard. There is also concern that the proposals will rely on algorithms that will be programmed to “play safe” and delete anything that creates a risk for the platform. 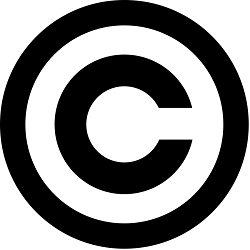 A campaign against Article 13 – Copyright 4 Creativity – said that the proposals could “destroy the internet as we know it”. “Should Article 13 of the Copyright Directive be adopted, it will impose widespread censorship of all the content you share online,” it said. It is urging users to write to their MEP ahead of the vote on 20 June. Jim Killock, executive director of the UK’s Open Rights Group, told the BBC: “Article 13 will create a ‘Robo-copyright’ regime, where machines zap anything they identify as breaking copyright rules, despite legal bans on laws that require ‘general monitoring’ of users to protect their privacy. “Unfortunately, while machines can spot duplicate uploads of Beyonce songs, they can’t spot parodies, understand memes that use copyright images, or make any kind of cultural judgement about what creative people are doing. We see this all too often on YouTube already. The article mentions that it could mean the death of the Internet meme. Of course, this simply implies that it would mean the legal death of the Internet meme. The article points to Save Your Internet which says that the legal death of the meme is just one of many implications of such copyright laws. They say that it also threatens live streaming, blogging, parodies, discussion and sharing platforms to name a few. So, a whole wide range of pieces of Internet infrastructure would be under threat. The site itself offers tools for European citizens to contact their MEP (Member of European Parliament) to have their voices heard on the matter. This includes by phone, by e-mail, and by Tweet. One thing is for sure, we can expect this push to stop the censorship machine to continue to build on the lead up to the June 20th vote. As we pointed out earlier, some MEPs support the censorship machine while others oppose it. So, one thing is for sure, we are going to be seeing a whole lot more in the days to come regarding this movement.